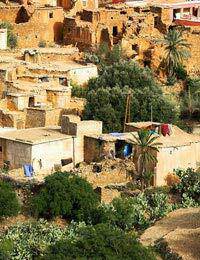 Morocco is located on the northern coast of Africa. It is a diverse and multi-ethnic society with a long and rich cultural history much of which resonates through the country’s current customs and traditions. This cultural heritage, its beaches, mountains and Saharan desert have made Morocco a popular destination for holidaymakers and travellers alike. However, during your travels you should be aware of a few customs and etiquette to ensure an enjoyable and trouble-free visit. Classical Arabic is one of the main languages spoken in Morocco, although a dialect of Moroccan Arabic is more widely spoken. Many Moroccans speak French, but it tends to be the language used in administration and as a bridge language for foreigners and business interests. As a significant number of Moroccans are of Berber or Berber-Arabic descent, the language of Berber (Amazigh) is also spoken in many areas. However, as a foreigner you may find that English, Spanish and French are all spoken and understood. As French is the most common lingua franca, it would be considered polite to learn some conversational French phrases to help you along with your communication in Morocco. Morocco is a Muslim country, so it goes without saying that you should be mindful of your public behaviour and the way in which you choose to dress. Generally, in heavily populated tourist areas ‘normal’ casual wear is tolerated, although it is perhaps better to err on the side of caution and dress modestly. This would be considered as proper etiquette. Both men and women should aim to cover their shoulders and women’s dresses or skirts should fall at least below the knee. In the less tourist-dense areas, modest clothing should always be worn, with both men and women covering their shoulders and legs. If entering a mosque, shoes should be removed and women should cover their heads with a scarf. Beachwear is accepted in tourist beach resorts, however you should not change your clothes on the beach. Instead, utilise one of the many changing cabins available – these are usually site within a beachside bar or café. Moroccans are very hospitable and friendly people. When introductions are made, it is quite customary to ask about your counterpart’s family or friends. The most common way to greet a person in Morocco is to either offer a handshake to a person of the same gender. You may find that the handshake in Morocco is gentler than in ‘Western’ countries – it is not proper etiquette to firmly grip and enthusiastically shake another person’s hand. Men and women greet in a slightly different way. The woman should always offer her hand first to initiate a handshake. Women who wear a full veil will often refrain from any physical contact, so in these instances it is customary for the man to simply give a slight bow and allow the woman to retain some personal space. If you have become well acquainted with your Moroccan counterparts, the proper greeting etiquette is to initiate a handshake whilst simultaneously kissing both cheeks, kissing the left cheek first. This should only be done with a person of the same gender. In public, you should be aware that it is considered good manners for men and women to leave space in between one another. Handholding is only usually seen as a platonic gesture between the same sexes. Public displays of affection are not really tolerated, and certainly homosexuality is still relatively taboo in Morocco. In some instances, it is considered quite uncouth for a woman to be seen alone at a bar or café, especially if she is young and unmarried. Although this is not the case with many ‘Western’ women, if female and planning to venture out to such a place, it is best to attempt to go out in a group or be accompanied by a man. You may find that during your stay in Morocco, you will be invited into the family home for a meal. It is always customary for a Moroccan to offer food whenever you visit, and it would be seen as quite rude to refuse this offer. Likewise, if you are offered a present when invited into the home, you should always graciously accept. You do not have to open your gift in front of your host – equally you shouldn’t expect your host to open your present either. Gifts should be relatively small - sweets, pastries or flowers are all popular gifts. Bringing a small gift for any children in the home would also be well received. In more conservative households, men and women will dine separately, so if planning on bringing a spouse or partner, you should always find out beforehand if this is the case. In Morocco, it is proper etiquette to dress conservatively, removing your shoes and cleaning your hands before each meal. Because eating is often done with your right hand (although bread can be taken with the left), a small basin will usually be provided before the meal. You will be expected to hold your hands out whilst a jug full of water, often scented, is poured over them. Dry your hands and wait for your host to invite you to begin eating. This ritual is also performed at the end of the meal.